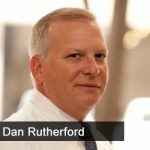 Jason Hartman talks with Dan Rutherford, deputy director for the Office of Customer Education and Outreach with the US Commodity Futures Trading Commission, about some incidences of fraud in options trading that his office is seeing, and what signs you can look for to make sure you’re not scammed. The rise in prominence of cryptocurrencies has brought plenty of scam artists into the arena, and they’re currently focusing education on binary options. [3:38] What kind of fraud is going on in options?